When you head out to buy a used car, one of the first things you’ll notice is the price is significantly less than a new car. Buying a used car just doesn’t have quite the feel as buying a new car. If you’re willing to sacrifice the new car smell, however, a used car can offer many benefits its new car counterpart can’t. Whether you don’t have the money, don’t want to take out a large loan, or want a car for a new driver, a used car is the way to go. When you head out to buy a used car, the first thing you’ll notice is the price is significantly less than a new car. If you came in with a budget for a specific car, that price difference could allow you to move up to a nicer model. 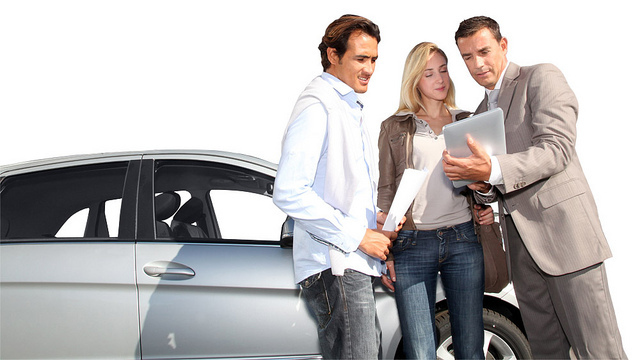 The next advantage used cars have is maintaining their value. New cars go through depreciation, sometimes up to 40 percent, the second they leave the lot and become used cars. Used cars, having already gone through depreciation, are worth the same amount you paid when you drove off the lot. You can look at makes and models that may be discontinued or have a specific package when you buy a used car. New cars are limited to a select few models each and every year. The number of new cars pales in comparison to the vast number of used cars. If you want a wider selection, a used car is the way to go. We here at Chip Wynn Motors can help you get a used car that fits your lifestyle and works with your budget! We here at Chip Wynn Motors have provided some useful tips for test driving a car that will tell you all you need to know. New or used, you should take a car on a test drive before making a final decision. Test driving a car is the most important step in actually deciding to purchase a car. If you aren’t comfortable, hear anything strange, or the car doesn’t seem to drive right, you’ll find out on the test drive. Staring at the car’s exterior is one thing but we here at Chip Wynn Motors have some tips for test driving a car that will tell you all you need to know. Before. Once you’ve informed the salesman you’re ready for a test drive, there’s a few things you’ll want to check out first. Check the tire tread by running your hand over the surface of the tire. If it isn’t wearing evenly, point it out. Open the hood and look for anything out of the ordinary, like massive amounts of dirt and grime. During. When you’re on the road, you’ll obviously want to make sure you’re comfortable. Make sure you can see and read all the gauges and controls. Test everything, especially the radio, heat, and air conditioning. Drive on the same terrain as normal. If the car can’t handle your usual drive, like hills and curves, take that into consideration. After. Sleep on it, so to speak. Evaluate and reevaluate your drive over the next few days before making a final decision. If the car doesn’t seem right for you, don’t be afraid to walk away.